lay off the insults and lay on the blessings. Become allies and fight together for the best in your relationship. 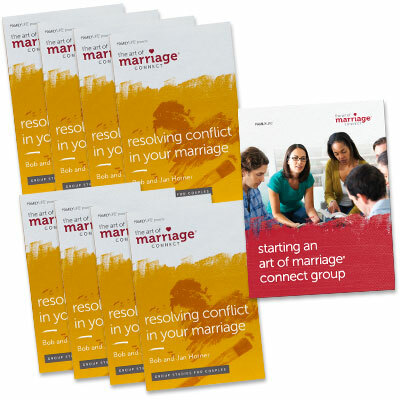 Resolving Conflict in Your Marriage will show you how. Bob and Jan Horner have long been co-workers--as partners in marriage, parents of three daughters, staff members of CRU, and speakers at FamilyLife Weekend to Remember® marriage getaways. Bob is a graduate of Westmont College and the University of Colorado with a degree in mechanical engineering. He joined the staff of Campus Crusade in 1964. Jan became part of Campus Crusade two years later after finishing her education at Colorado State University. Bob has also coauthored three books for Promise Keepers, including Applying the Seven Promises.